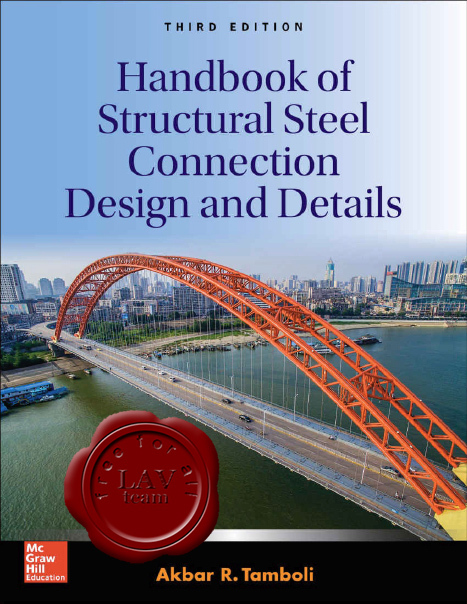 Fully updated with the latest AISC and ICC codes and specifications, Handbook of Structural Steel Connection Design and Details, Second Edition, is the most comprehensive resource on load and resistance factor design (LRFD) available. This authoritative volume surveys the leading methods for connecting structural steel components, covering state-of-the-art techniques and materials, and includes new information on welding and connections. Hundreds of detailed examples, photographs, and illustrations are found throughout this practical handbook. Fasteners and welds for structural connections. Connections for axial, moment, and shear forces. Welded joint design and production. Splices, columns, and truss chords. Connection design for special structures.